Can you believe it is the first of JULY???? 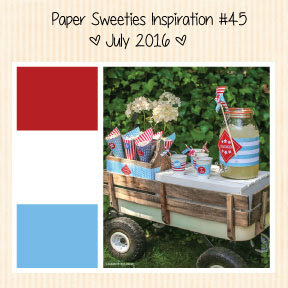 Since it is the first, it is time for a new Inspiration Challenge here at PAPER SWEETIES! Fireworks and cook outs!!!! So much fun! That is why I chose to dress up Miss Abigail for the 4th of July. Her body and hair have been colored with Copic Markers. Her outfit is from the LIFE IS A PICNIC stamp set which was paper pieced. I stamped and heat embossed the fireworks from the I LOVE SUMMER with dark blue and red embossing powders. Next I sponged over the fireworks with Distress inks. The embossed areas totally resist the ink! 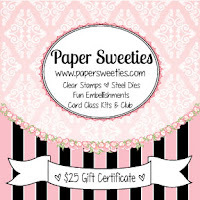 PAPER SWEETIES! 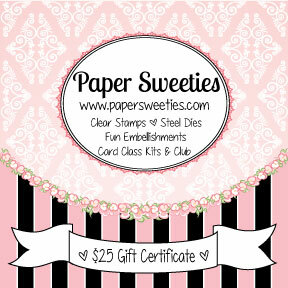 You could win a gift card to our shoppe! And don't forget to visit my Sweetie Teamies for some great inspiration! Mackie, you create the most amazing inked/splashed backgrounds!!!! Love this patriotic scene! Have a happy and safe 4th! Mackie, this is absolutely amazing! I love that background, and the fireworks are beautiful! You are so inspiring to me every month. I love your creative ideas! Absolutely LOVE this! LOVING those fireworks!!!!!!!!!!!!!!!!!! Your backgrounds are always just the best!! This is gorgeous of course! 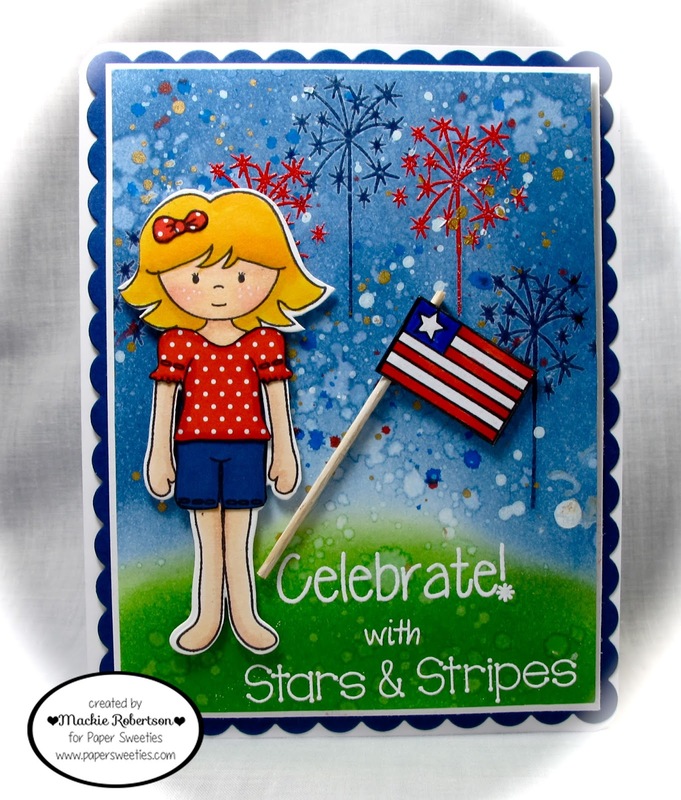 Oh Mackie, sweet Abby is adorable in her red, white & blue short set. Seriously in love with your gorgeous background! Wow is it amazing! Hugs! Love your background scene with the fireworks...so awesome!!! And Abigail is too CUTE in her outfit with flag! 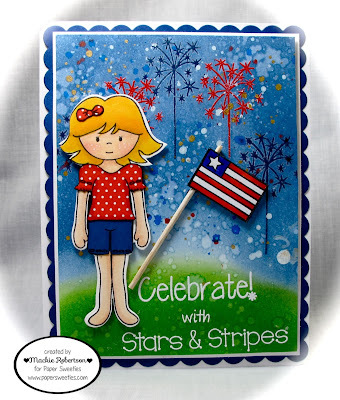 Wonderful card...love it!!! Abigail couldn't be any sweeter dressed for the 4th and watching the night sky light up with all those amazing fireworks! PERFECT!!!!!!! Mackie, this is amazing! I love everything about your card! !